Reflections of Life: Equilibrium is rated 3.9 out of 5 by 22. Rated 5 out of 5 by Aliana_4711 from One of my favorits, it was challeging and lasted some couple of hours This is a game I enjoyed much. I do play more or less all HO games and adventures, but rarely review them. But this one earned my feedback. If you like fairy tales it is really great. My stars are given according to following points: - Difficulty can be customized. I took the harder puzzle version, it was interesting. Map shows current tasks. Usually I prefer playing without helping messages – this can’t be chosen. But all in all, it was good to have them. - Storyline: it is exciting, consistent and logical built up (for a myth). - Graphics: the pictures are amazing, the figures good animated. - Locations: they are pretty much detailed and nice pictured. Also the background sounds fit closely to locations or actions. Mostly there are 3-5 locations to be explored, if a next area is reached, the older locations are not anymore available. I like that, because you’re not wasting time. - Challenge: I was not bored, it was interesting enough, but doable. Some puzzles are new or in a way modified, that I did not know them, something I like much. The tasks are mostly logical and spread over 3-5 locations. It took some couple of hours, so you get a lot of fun for your money. Rated 5 out of 5 by un1cornr0se from Visual masterpiece and excellent game I am so glad I read reviews before buying this as it prepared me for how incredibly busy the screens were for each scene. At first it was a little overwhelming trying to wrap your head around all the graphics, but once I got past that, I loved this game! There was so much to do on each page which gave you time to look at all the artwork whilst playing, and I felt like I was challenged to use my brain quite a bit to solve some of the puzzles (I set mini games to be harder). There are lots of items to collect, and lots to accomplish on each page which made a refreshing change from collecting only 1 or 2 objects per scene. This game took me a while to play, which made it good value for money, and I would happily revisit this game again for another run through! 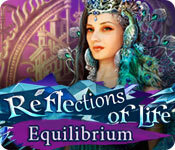 Rated 5 out of 5 by vmomahhj from Reflections of Life: Equilibrium love this game,will play it over and over again. 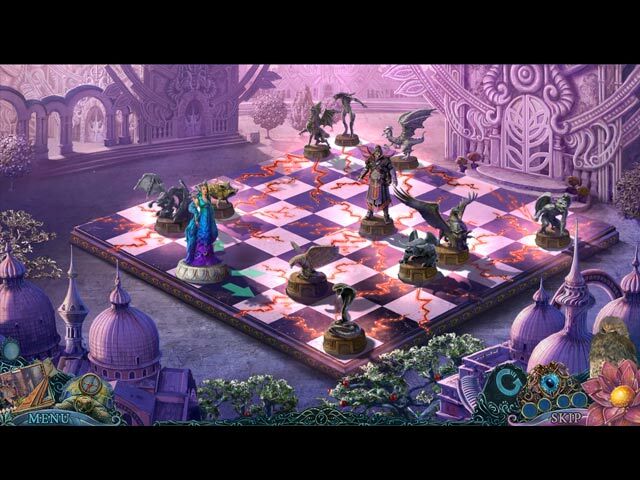 Rated 5 out of 5 by denniann2 from a rather long game you are the guardian that has been asked to help find the queen. if that queen's heart is stolen then all kinds of bad things will be unleashed on the worlds. the objects are rather plain to see in the HO scenes. there is an interactive map. you have a helper owl that flies to places you can't get to. this game does have a custom level. i am sure there could be a sequel. Rated 5 out of 5 by b2u4 from Great Fun Beautiful graphics - thankfully not one of those games with all those gloomy, dark scenes. -ugh! There are a nice amount of things to do and the HOGS are nothing like I've seen before & so much more fun - Makes me think.... There isn't all that going back & forth for just one item - basically just 1 to 3 scenes/locations at a time which makes this game so much more enjoyable to play. If you like 'thinking' and playing the various fun games -finding, etc. - you will greatly enjoy this game. There is one thing that irritates me sometimes - when I want to go to the previous scene, I have to move my cursor very slowly for the cursor to change to the Down arrow. 2nd thing - just remembered - occasionally you have to put an item Exactly in the place it should go otherwise it goes back & you have to remember to re-try elsewhere. But overall, it was still a lot of fun. 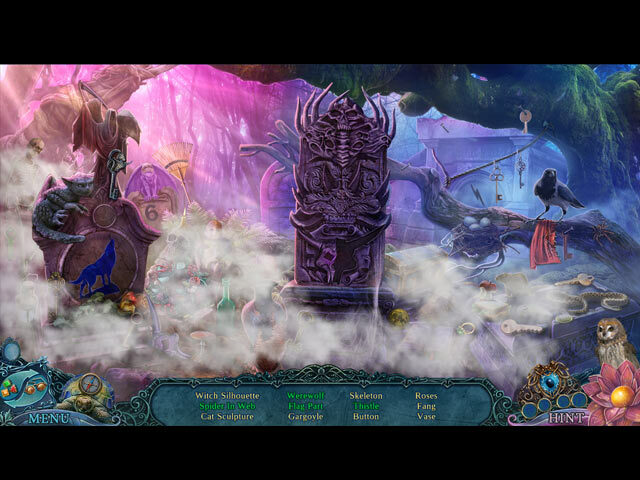 Rated 5 out of 5 by joybelle_1 from A beautiful and busy game "I loved both the wonderful visual and gameplay here. This is a game that does tend to linger in locations with much to do in each. I know some may say it is slow, but it is intricate and a feast for your eyes with beautiful graphics. It has a jump map and objectives marked. If you liked games such as Dream Chronicles or even the Awakening series..you will like this game. I loved 'The tree of Dreams" and this one is just as good." Rated 5 out of 5 by biscuitsmama from One of The BEST Games I Have Played! Let me begin my review by saying that I purchased the CE and absolutely loved this game. It took me several days to finish it and I enjoyed it as much by the time that I finished as when I began. It is so unusual for a game to hold my attention for days but this one did. What a terrific game! When I first did the beta test for Reflections of Life: Equilibrium, I wasn’t sure about the game since it seemed far too busy with graphics that were just so over-the-top fairy tale and inundated with those tones of pink that I really dislike. Then when the game was released I decided to give it another chance, which turned out to be one of the best gaming decisions I’ve made in a long time. There is really no need for me to go into the story line or set the stage since other reviewers have done a good job with that so I am only going to tell you what I think. As I attempted to evaluate why I initially felt the game was overly busy, I had to accept the fact that in more recent games of the past year or two we have been conditioned to games where each scene might have one or two active areas at most, which is certainly not the case with Equilibrium. Recently games have become very simple with gameplay being almost automatic: find this, use it here and then move on to the next scene. 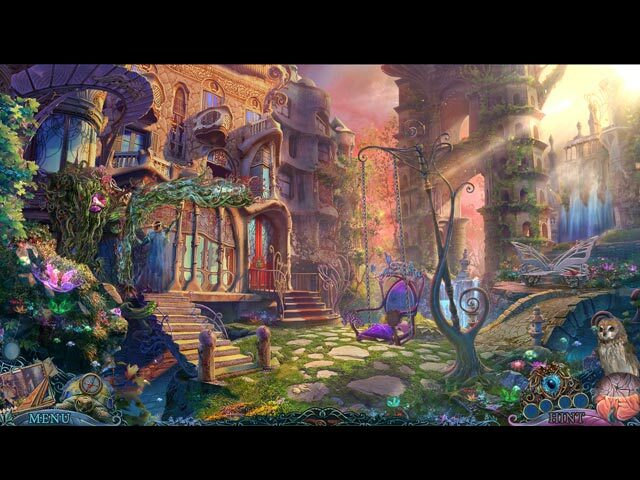 Yes, there might be a puzzle to complete or a HOS thrown in but most times the games seem very easy and don’t require a lot of mental effort. With Equilibrium the developers have created a phenomenal game where we have multiple things to do in each scene and often it is not readily apparent what must be accomplished before moving forward. It didn’t take long before I was totally immersed in the challenge that is Equilibrium. This development team has presented a creative and totally awesome game that is so different than what we normally expect to find in the HOPA genre and I am hooked. The HOS in Equilibrium are quite different from those we find in almost every other HOPA game and I loved them. Even though we are still finding hidden objects the presentation is excellent. I find the game refreshing, challenging and quite unique given the creativity this development team has used in creating what I think is a phenomenal game. Reflections of Life: Equilibrium now has my vote for best HOPA game of the year. I am so happy that my initial thought about the game turned out to be wrong, and I guess that when I am wrong, I am really very wrong. Equilibrium is truly a ten-star game among a world of many five-star games. All I can say is kudos to this awesome and creative development team for an outstanding game that is truly at the top of the list. Well done developers! !